I hope you all are happy and healthy and are having a great week. Nars blush in Sin is a lovely dusky plum with golden shimmer which is very, very finely milled. Nars describes this blush as Berry tone with Golden Shimmer. In the pan the shade doesn't look very exciting, but, when applied it imparts a lovely morning freshness to the face and shimmer in it just melts into the skin to give a lovely glow. When I first saw the blush in the pan, I thought, it would look ashy on my warm skintone and was skeptical of my purchase and immediately decided that I wasted my money. But, when I actually applied the blush, I thought my face never look so fresh before. It won my heart and I am proud that I purchased this blush. 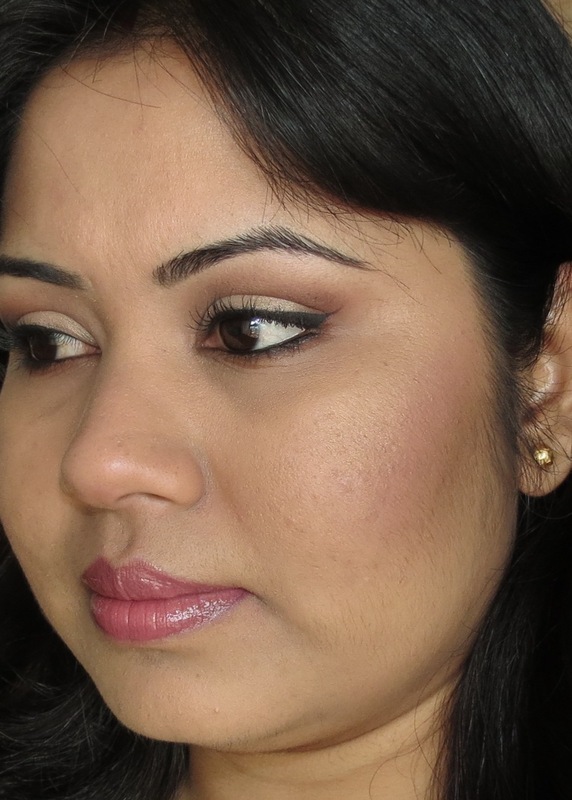 Though the shade leans towards cooler tones, I can see that this blush will suit a lot beauties with warmer skintone. I think the golden shimmer in it does the trick. I see a lot of people preferring this blush for winters, but, I will be wearing it through out the year for the lovely freshness that this imparts. 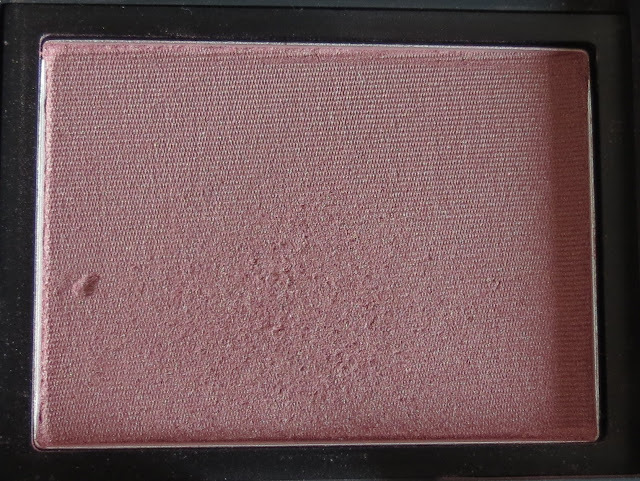 This blush is so loosely pigmented that it picks up a whole lot of product just by merely touching the brush on the product and you get the exact shade as in the pan on your cheeks, so, a small amount goes a long way. The texture of the product is so smooth that it doesn't feel like a powder blush when blended, feels like butter and blends very easily without any effort. Like other Nars blushes, this blush also stays put for a decent 7 hours on me without fading. After 7 hours, I noticed a little bit of fading but it stayed there up to 8.5+ hours after which I could see it disappearing. It comes in standard Nars packaging, which I hate as it attracts a lot of dirt and stains. But, for the product in it, packaging doesn't matter. The pan houses 4.8 gms of product and it costs USD 28. Overall, this is a lovely dusky plum shade with golden shimmer which seem to balance out the cooler tones of plum shade and hence suiting beauties with cooler as well as warmer skintones. I absolutely adore this blush and would recommend it to everyone. Worth every penny. I hope you found the review helpful and liked the blush on me. Have a lovely remaining week and stay happy. this is a beautiful blush just enough to enhance the natural flush of the cheeks.....have u lost weight...looking very nice. That's such a lovely shade! @Neeraj: Thank you... yes, it gives nice flush to cheeks and imparts a lovely freshness. Yes I hsve lost a little bit of weight.